Five years ago Crystal Palace were staring into the abyss. Wallowing in the pity of administration for a second time, The Eagles were relying on Alan Lee as they desperately clung to a 2-2 draw against Sheffield Wednesday which probably secured the club's existence as well as its Championship status. Palace started that day with a midfield partnership of Johannes Ertl and Shaun Derry. Yesterday, the South Londoners announced the signing of French international Yohan Cabaye - quite the upgrade on Andy Dorman and David Wright who were Steve Parish's first signings as Palace chairman. When Parish took control of his boyhood club, not even he could have planned it as sweetly as this. The Eagles have been transformed from habitual Championship strugglers to a top ten Premier League side, and in five years with CPFC 2010 at the helm, Palace have consistently bettered their finish from the preceding season. Given the club's recent history, Palace fans have a tendency to fear the worst is always round the corner and err on the side of caution when it comes to excessive spending. Parish, however, wants to take the club to the next level and isn't one to shy away from flexing the financial muscle that a prolonged stay in the English top flight rewards. Indeed, breaking the club's transfer record has become a regular pastime for Parish, who marked Palace's return to the Premier League with the signing of Dwight Gayle, before spending £7 million on bringing James McArthur to Selhurst Park. The £10 million coup of Cabaye, however, is completely new territory for a club that is accustomed to looking over its shoulder. The idea that a player as accomplished as the Frenchman would readily trade the romantically lit streets of Paris and Champions League football for the bright lights of South Norwood seems just as absurd to Palace fans as it does to the outside world. However, Selhurst Park is slowly becoming an attractive destination to play football, and not just because of the shiny new plastic seats or the tasty jerk chicken shop on Norwood high street. Alan Pardew is putting together a youthful, attack-minded squad that thrives off some of the more vociferous supporters in the league. For years Palace have been a selling club. The likes of Nathaniel Clyne, Andy Johnson and Victor Moses all made a name for themselves in South London before moving on to better things. However, the signing of Cabaye coupled with Scott Dann's equally significant new contract shows that Selhurst Park is now the place to be. Still, that doesn't make any of this easier to rationalise. 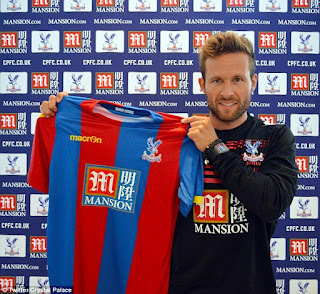 Perhaps the most frightening thing is that Cabaye needs Palace just as much as they need him. Cast aside at PSG, this is the last roll of the dice for a man desperate to play at the European Championships in his home country. Cabaye needs games, and the chance to reunite with Pardew proved more appealing than working under Diego Simeone at Atletico Madrid. No doubt more than a few would have been rubbing their eyes in disbelief when wages of £100,000 a week were being quoted for Cabaye's services. Such outrageous sums of money are simply unheard of for a club that just six years ago was looking down the back of the sofa for the £80,000 to bring in Calvin Andrew from Luton. However, Palace fans are going to have to get used to mixing it with the big boys if The Eagles are to build on the first top ten finish in the club's Premier League history. Cabaye is now the calibre of player the club can and must attract if they are to continue the theme of progress and become a regular top ten side. It's hard to believe that this isn't the biggest signing in the club's history (no, it's not Edgar Davids). 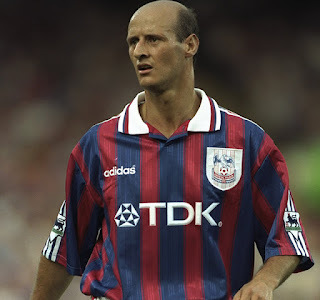 Back in 1997, Palace celebrated their return to the top flight by somehow plucking Italian international Attilio Lombardo from Juventus. Back then, Lombardo was a diamond in the rough, gifted with the unenviable task of leading The Eagles to Premier League survival. 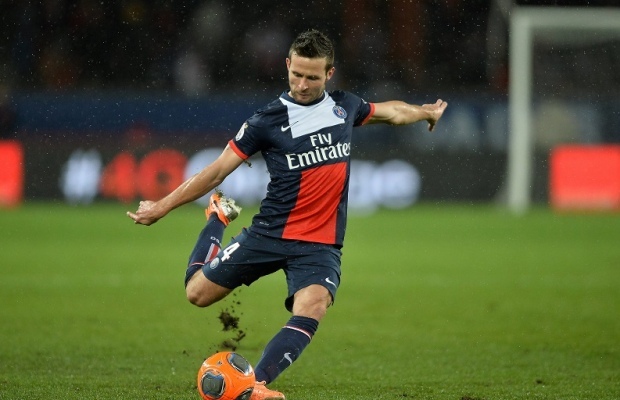 There is a sense that the signing of Cabaye is different. 'The Bald Eagle' Lombardo joined a side tipped for relegation, while Cabaye links up with a group of players that have already made waves in the Premier League. The Frenchman may now be the prettiest, shiniest diamond at the Palace, but he's certainly not the only one. Cabaye is simply another piece of the Palace jigsaw, and it is a clear statement of intent from a club that wants to push its limits. Indeed, sometimes you have to look to the past to realise just how good the present is. Gone are the days of chopping and changing managers, gone are the days of selling prize assets, and gone are the days of staving off relegation. Whether the fans are comfortable with it or not, this is a new dawn for the Eagles, and a thoroughly exciting one at that.